Item # 314639 Stash Points: 395 (?) This is the number of points you get in The Zumiez Stash for purchasing this item. Stash points are redeemable for exclusive rewards only available to Zumiez Stash members. To redeem your points check out the rewards catalog on thestash.zumiez.com. For the lovers of rap and donuts comes the Odd Future Dripping Donut Sticker. This massive sticker comes in the shape of a donut with dripping pink frosting for a classic rap-inspired look. 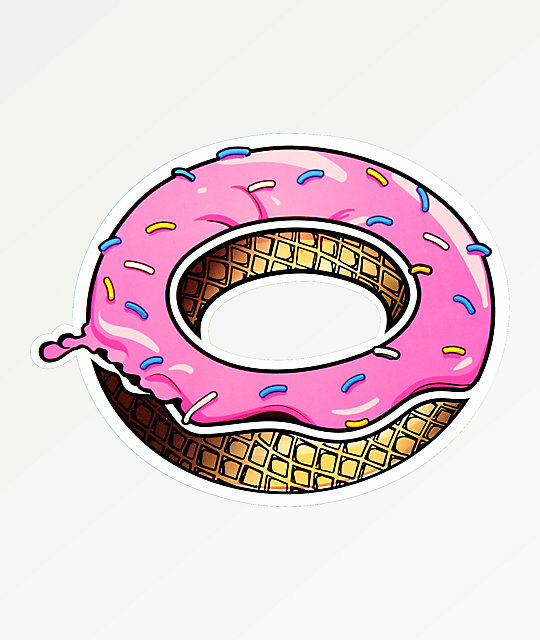 Dripping Donut Sticker from Odd Future. Large donut image with dripping frosting. 6" x 5" | 15cm x 12cm (approx. ).